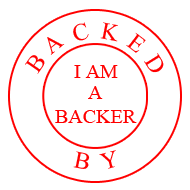 I am A Backer: Bring Reading Rainbow Back for Every Child, Everywhere. Reading Rainbow is #1 on my top 10 list. What can be more important than teaching children to read and enjoy reading. I remember watching Reading Rainbow, Mr. Rogers, Thomas and Friends, and many more growing up in the 90's. Those shows kept my brothers and I engaged and learning. These days children are distracted with the likes of Angry Birds, Flappy Bird, Candy Crush, etc. I am glad to see someone still thinks about the children and is using new media (apps, social media, youtube, and their websites) to get children excited about reading again, but more importantly, enjoying reading and learning. At $5 million, we can give FREE subscriptions to over 7,500 classrooms in need & expand to mobile/Android, but we still need your help! Jun 11, 9:30 AM PST: Read Update #8 (or scroll down!) for BIG NEWS: ten cast members from Star Trek TNG and Voyager will be joining LeVar for Reading Rainbow Live! storytime events -- and you can get tickets, starting at 2 PM PST today! Jun 9, 3:30 PM PST: Read Update #7 (or scroll down!) to see the exclusive designs for the Kickstarter reward t-shirts, and to find out how you can get more than one! Plus: more Twitter follow & voicemail rewards have been added! WANT TO VOLUNTEER? Just fill in the form at this link! First, not all families have access to tablets. Our goal is to cultivate a love of reading inall children, not just those that have tablets. To reach kids everywhere, we need to beeverywhere: we need to be on the web, on mobile devices, on game consoles and on connected televisions. Every Home. Reading Rainbow’s digital collection already contains hundreds of books and video field trips… but with your help, we’ll be able to make the Reading Rainbowlibrary available on more of the devices modern kids use to consume content. Now that we've met our initial goal of $1,000,000, we will be able to launch a new version ofReading Rainbow on the single most-used digital platform: the web. But when we reach our next goal of $5,000,000, we'll also be able to bring the service to mobile phones, Android, game consoles like XBOX and PlayStation, and set-top boxes like AppleTV and ROKU. Every Classroom. Together, we want to provide Reading Rainbow to as many classrooms as possible FOR FREE! Our initial goal of $1,000,000, means we can putReading Rainbow in over 1,500 classrooms at no cost to the schools -- but when we reach $5,000,000, we'll be able to put it into over 7,500 classrooms! It's an honor to be surrounded by my Reading Rainbow family every day, and we can't wait for you to join us. I’ve been the host and producer of Reading Rainbow for 31 years, and have done my best to teach generations of children that in the pages of a book – through reading – you can go anywhere and be anything. This isn’t a job for me: it’s a personal mission! But if you join me on this mission, we won’t be alone! I’d like to introduce a few important partners who help bring Reading Rainbow to life, and who you’ll meet along the way. Hello, world! I’m Mark, LeVar’s business partner, a recovering movie producer, and for the last several years, the CEO and writer/director of Reading Rainbow. That means I spend my days switching between financial spreadsheets and video field trip scripts. (When I get the two confused, it makes for interesting bank meetings.) I’ll be the one handling the business side of things: making sure these new product(s) get made, and making sure that we never lose our focus on helping schools in need. I’ll also be making sure that you get your backer rewards! Hello everyone! I’ve been focused on education and kids’ products for years, and have been fortunate enough to work with many great companies focused on early childhood education. At Reading Rainbow, I oversee our classroom work, and work with teachers, school districts, homeschool parents and educational experts. I’m so excited by the idea that this Kickstarter ­– and all of you – can help us reach so many children and teachers in need. I’ll keep you updated on the educational side, and share details about the design and roll out of our new products! Hey! As the Reading Rainbow Mom, I enjoy encouraging readers of ALL ages to believe that they can "go anywhere, be anything." I'm a writer and reader, perpetual student, sometime teacher, and mother of two budding young book addicts. If you follow Reading Rainbow on Facebook, Twitter, Tumblr or any of our other social channels it’s most likely me who is asking or answering your questions, and discussing books & reading with you! I'm passionate about helping bring books and a love of reading to every child, everywhere, and look forward to representing the needs of parents in our Kickstarter campaign!